room to grow: How Much Should I Spend On My [insert room here] ? How Much Should I Spend On My [insert room here] ? When re-decorating a space, it's hard to justify where all your money should go. Do you scrimp on the end tables, and splurge on the lamps you just can't live without? 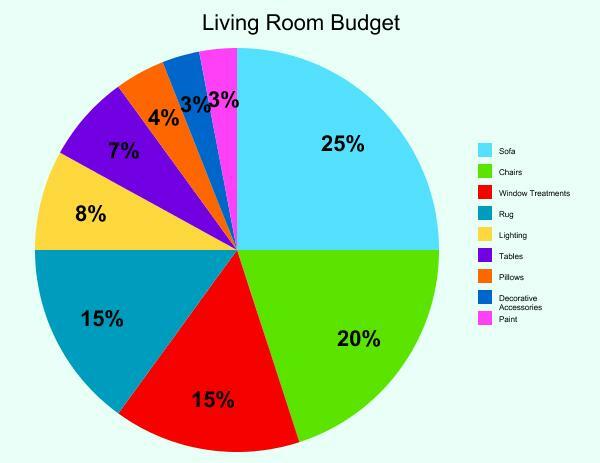 Here's a suggested breakdown for how much money should be invested into each category of a living room. Simply insert your budget, and breakdown your various costs accordingly. This is tentative, and doesn't take into account all those little splurges along the way. Think of it as a road map which will help direct what sort of price category you should be looking at for each accent and furnishing.